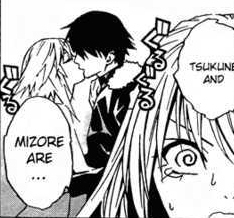 tsukune kiss mizore!!. . Wallpaper and background images in the Rosario Vampire club tagged: rosario vampire mizore kurumu. NOO THIS CANNOT BE!!! MOKAxTSUKUNE!! !